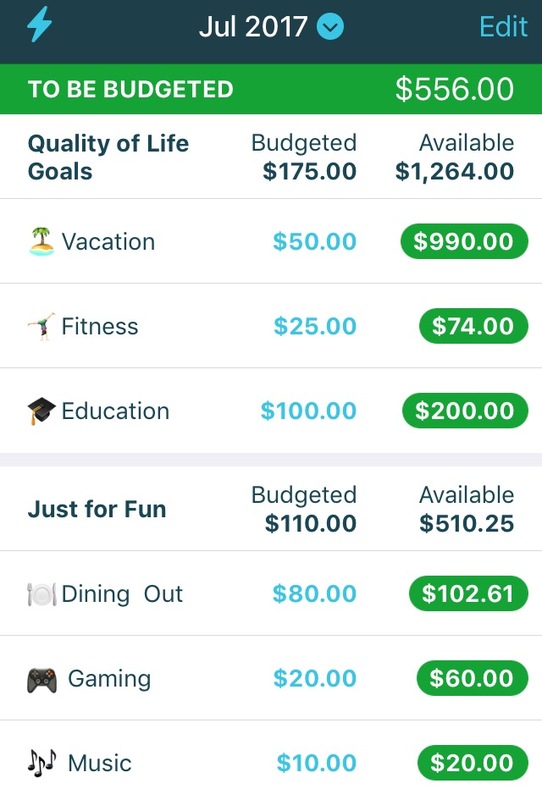 Take the time to customize your categories in YNAB to represent your priorities. They should be specific enough to guide your spending, but not so specific that your budget becomes complicated. Then tap the blue + in the Category Group header. Enter the name of the new category. If you have never used a category, it's safe to delete it. Otherwise, doing so will significantly impact your budget. You'll need to re-categorize the transactions and move money around in your budget. When you don't need to use a category anymore, hide the category instead. After hitting the Edit button and selecting one or more categories, you'll see that option. See those little hamburger icons? Tap and hold one of those to move a category anywhere else in your budget. Tap the checkbox icon in top right corner. 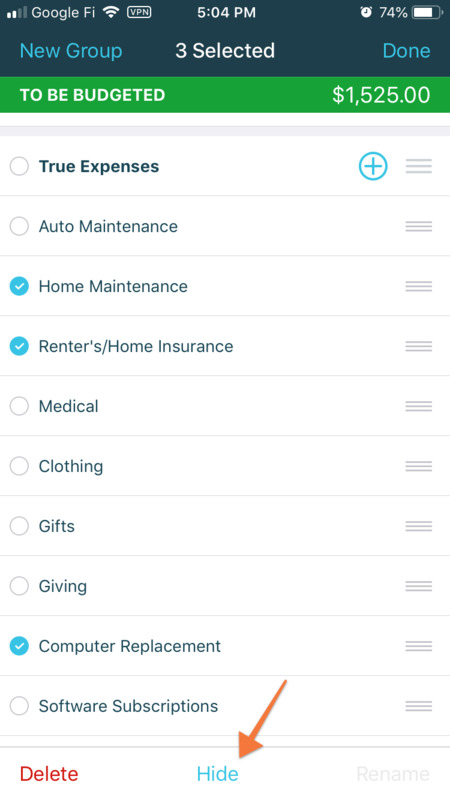 To move categories around in your budget, tap the checkbox button on the top right, then hold and drag the three horizontal lines to the right of the category name.